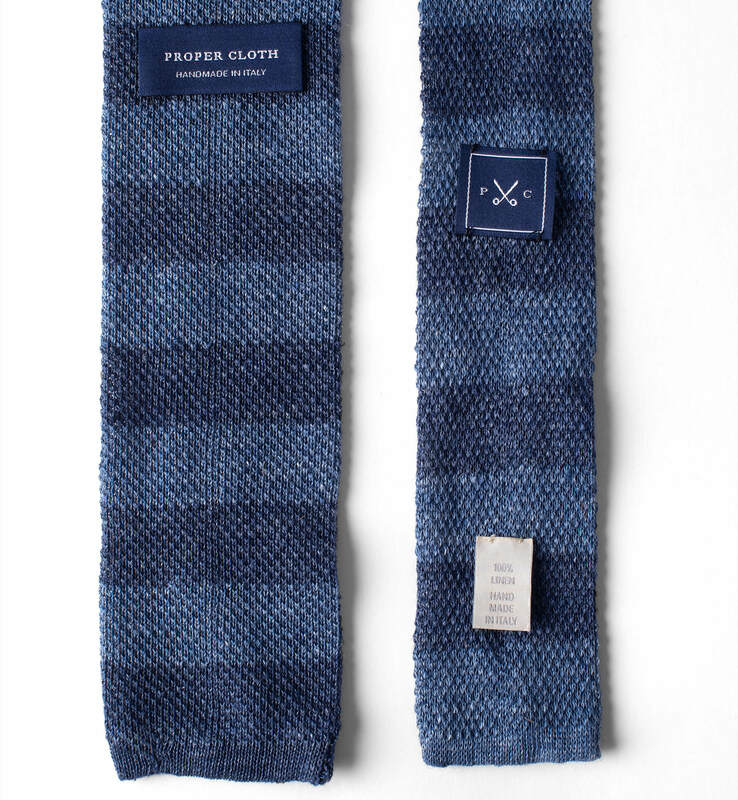 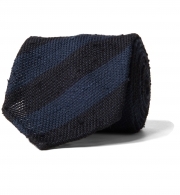 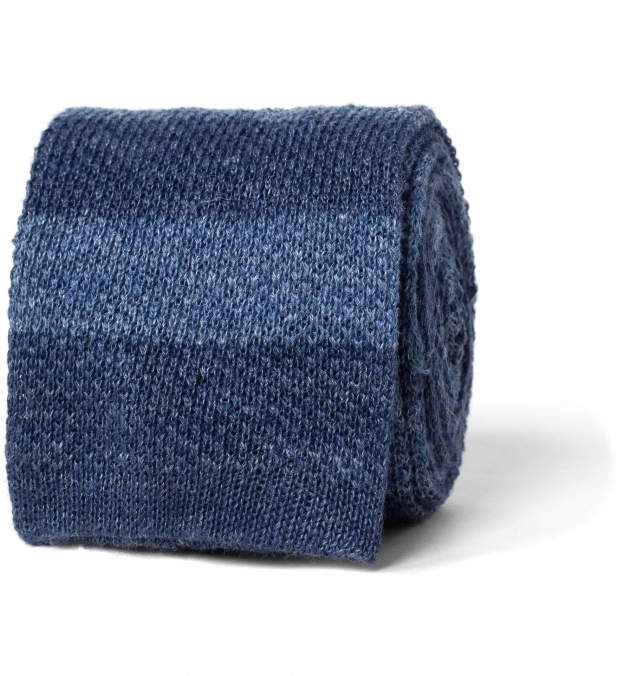 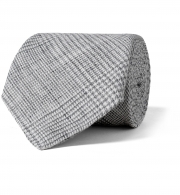 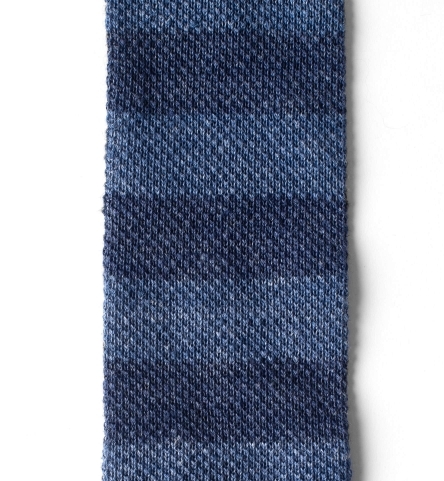 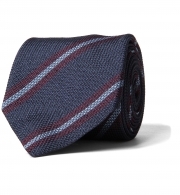 A refined, tonal bar stripe knit tie made from 100% linen. 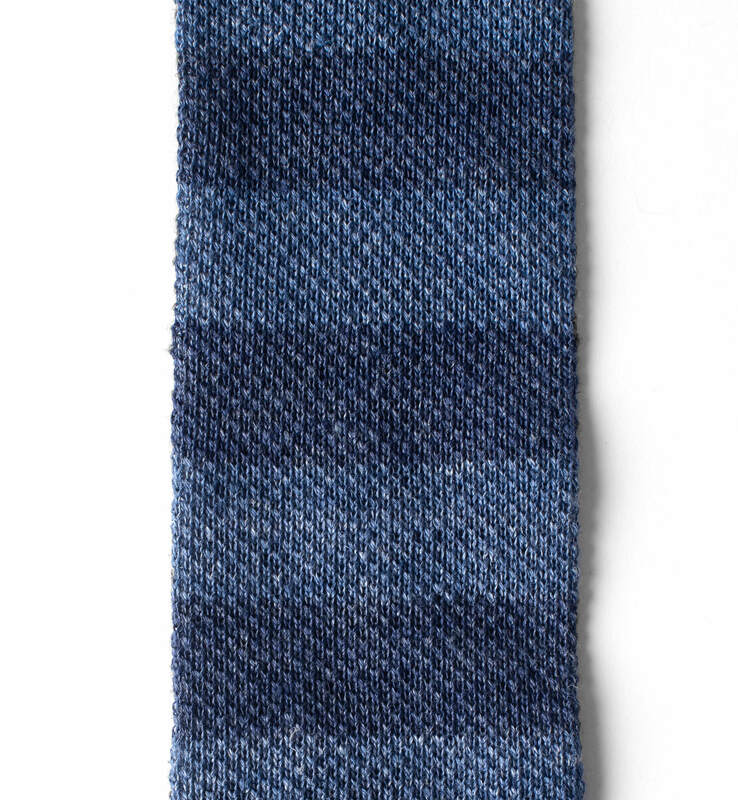 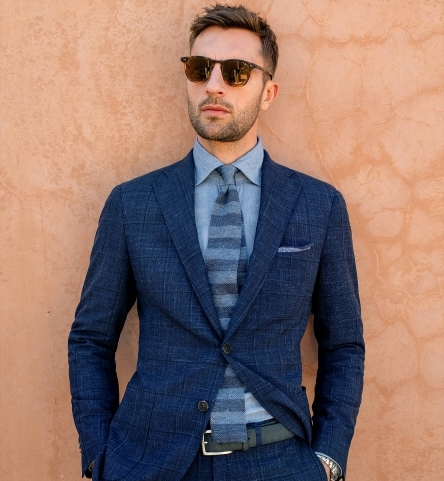 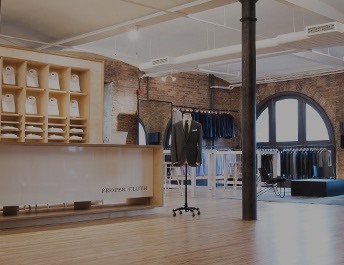 We love how subtle the slate blue color tones are and how the knit texture gives it a slightly casual vibe that's great for wearing with sport coats. 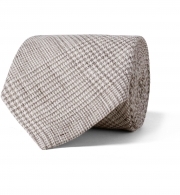 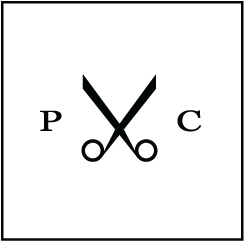 The lightweight linen fabric and muted colors are ideal for warm weather.